Hundreds of animals are neglected every day across the world, with some suffering abuse and others being abandoned. 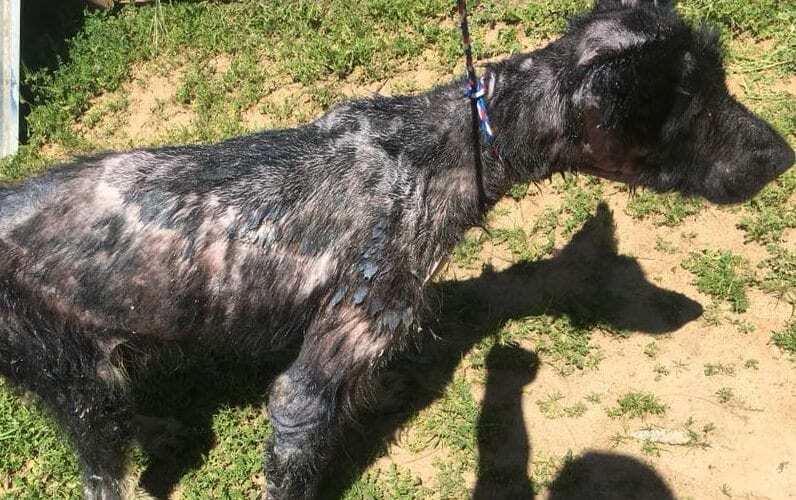 Neglect can have some horrific consequences on animals, from physical injuries to emotional trauma. Often, neglected animals retain their fear of humans and can become aggressive. 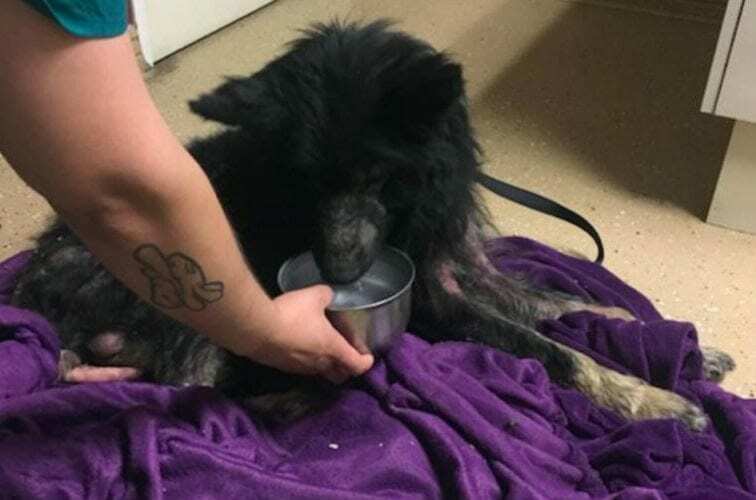 This dog, which resembled more of a werewolf than its actual species, made a complete transformation when he was met with kindness and compassion by a stranger. It was a remarkable transformation, and all it took was a bit of love and care. As drivers sped down the road in the Madera Ranchos area of California in early 2018, they witnessed something which was in equal parts fascinating and terrifying. What seemed to be a real-life werewolf was standing beside the road. Drivers were completely petrified of the wild animal and for good reason. It had long hair around its neck and scaly skin which barely covered its emaciated frame. Its tail was unsightly and all in all, it was not a welcoming beast. For many months, the werewolf creature stood alone on the side of the road. With drivers too scared to approach it, everyone simply drove past, leaving the animal to stand in isolation. What people didn’t realize, however, is that the wolf-dog needed urgent help. He meant no harm to anyone, and just wanted some assistance. Perhaps people did notice he needed help but were too scared to get close to the intimidating werewolf of our nightmares. That was until one lady stopped, knowing that the feral animal needed help. 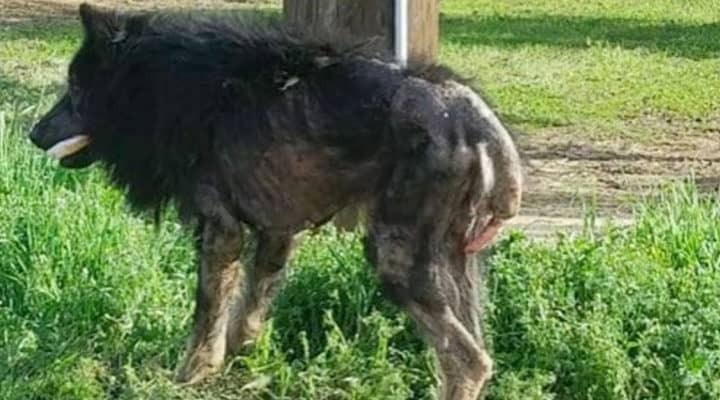 When the driver got out of her car, she realized that it was much more than a scary beast, but it was actually a severely neglected dog. 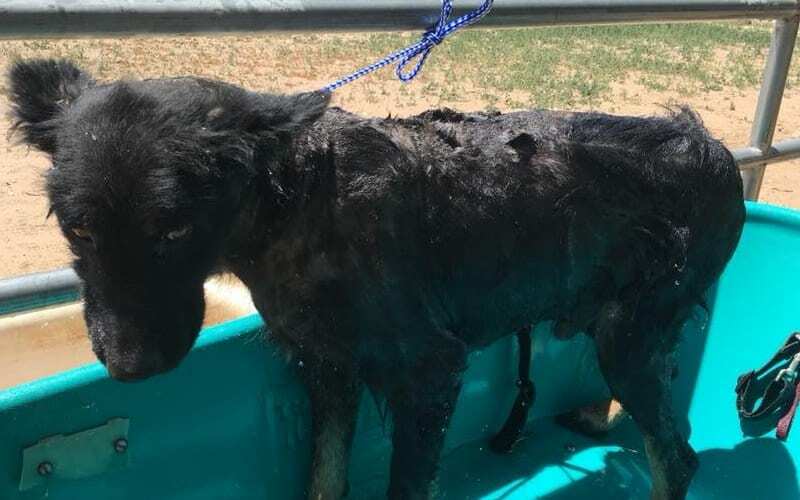 She could see that the dog was no more than just days away from losing its life, given the horrendous state it was in. The dog, although seemingly happy to see someone, could barely stand, let alone move or show its gratitude for the woman who had clearly arrived to help it. The driver knew it needed help immediately, but how? 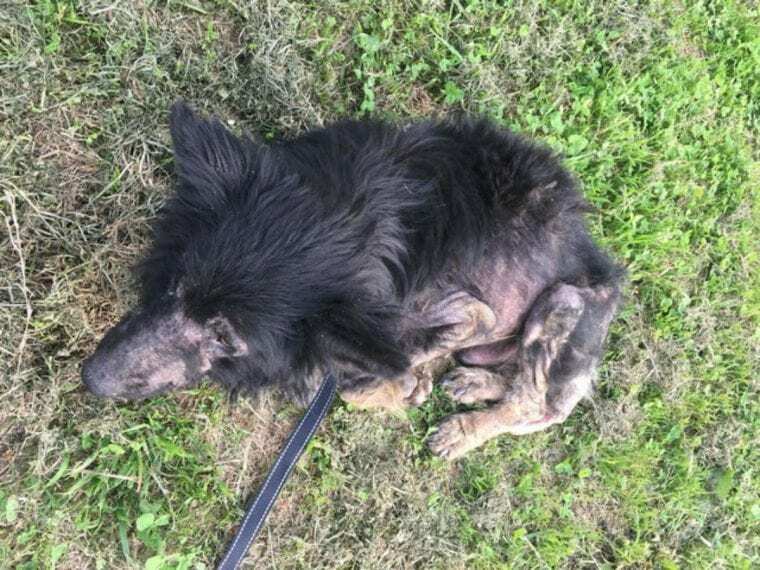 She had no idea what to do with a neglected werewolf-like dog and so posted a plea on Facebook, asking for someone to come and assist her. She also wanted to get it some food in the meantime. 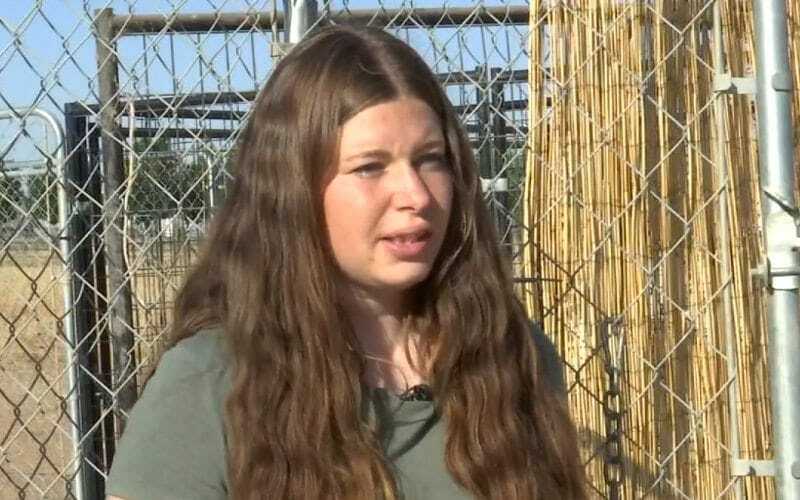 She posted her message in a Facebook group under the name of ‘What’s up in the Ranchos’ and hoped that someone, anyone, could help her with the animal. Much to her amazement, someone replied quickly, telling the driver that she was on her way to help. When help arrived, the driver realized how much luck the dog had struck. 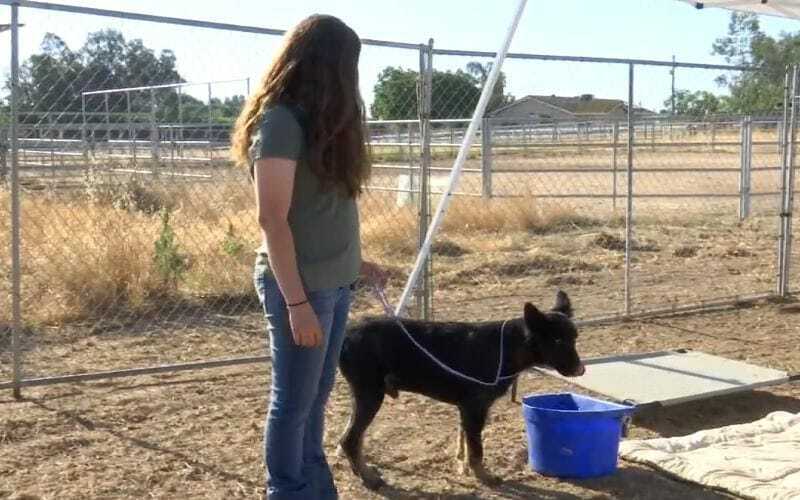 The woman who came to assist was none other than Megan Bowe – a dog rescuer. 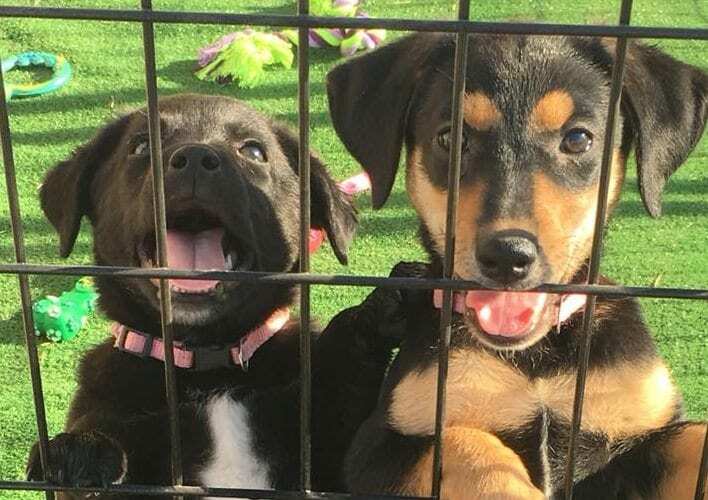 Bowe has her own rescue sanctuary in her house, where she nurtures stray and neglected dogs back to health, before adopting them out to new, loving families. She was the perfect person to have answered the driver’s Facebook plea, and she could only hope that the werewolf looking dog was going to recover fine. Bowe nearly burst into tears upon seeing the dog. It was in a horrific state; a state much worse than any pictures could portray. She was more determined than ever to help the dog now. 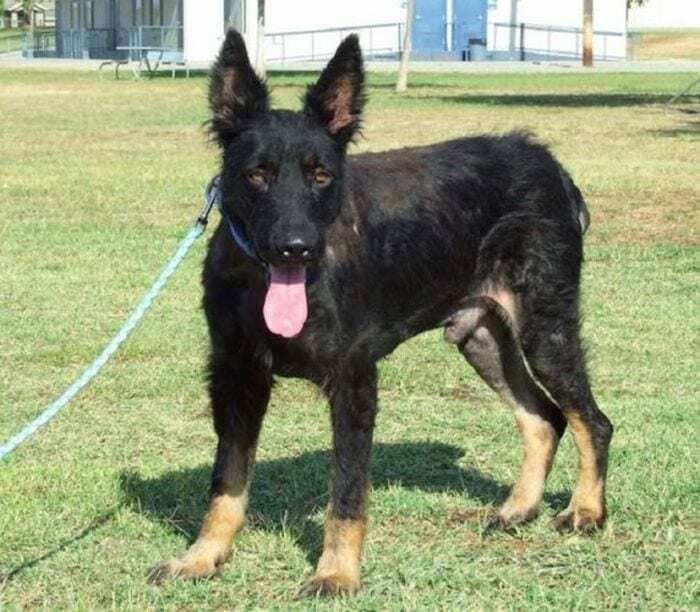 On closer inspection, Bowe noticed that the werewolf was actually a male German Shepherd – a breed which looks inherently different to this poor, filthy animal. Bowe knew he needed urgent help because every wasted second was one closer to losing him. Now she just had to decide what to do. Neglected dogs are often wary of, or even aggressive towards, humans and strangers because they simply have no reason to trust them anymore. 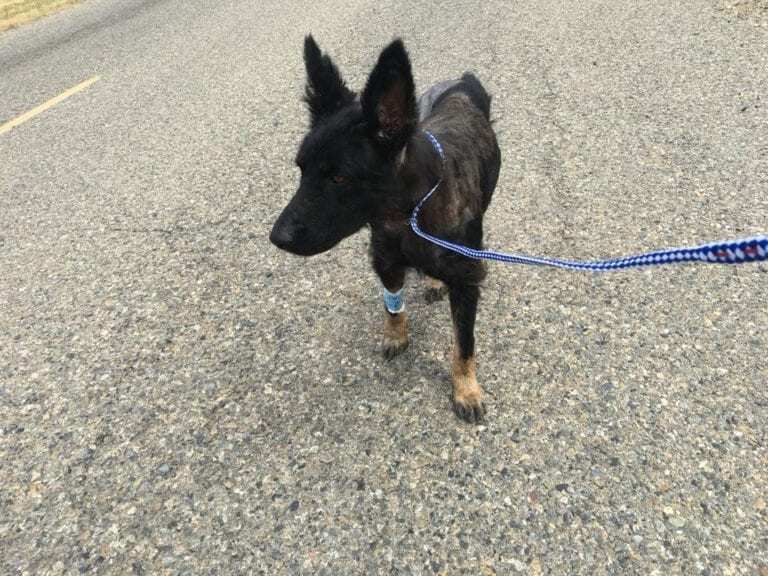 This dog, however, was so grateful to be receiving help that he willingly followed Bowe when she decided he needed to head straight to the vets. It was almost like he knew that she was good and wanted to save him. After all, what other choice did he have? He was so close to losing his long battle, and this could be his last chance. Once at the vets, the nurses confirmed their fears. He was in a terrible state and was riddled with diseases. He had contagious scabies, which confirmed the lesions and scaly skin. He was incredibly malnourished and dehydrated. The dog would need intense rehabilitation if he ever had a chance at life. Then they noticed something even more shocking. The dog had a broken pelvis and tail. This could have been because of his wanderings as a wild dog, or maybe even why he was abandoned to begin with. What really broke the vets’ and Bowe’s hearts, though, was what age they discovered he was. The dog was no older than a year. 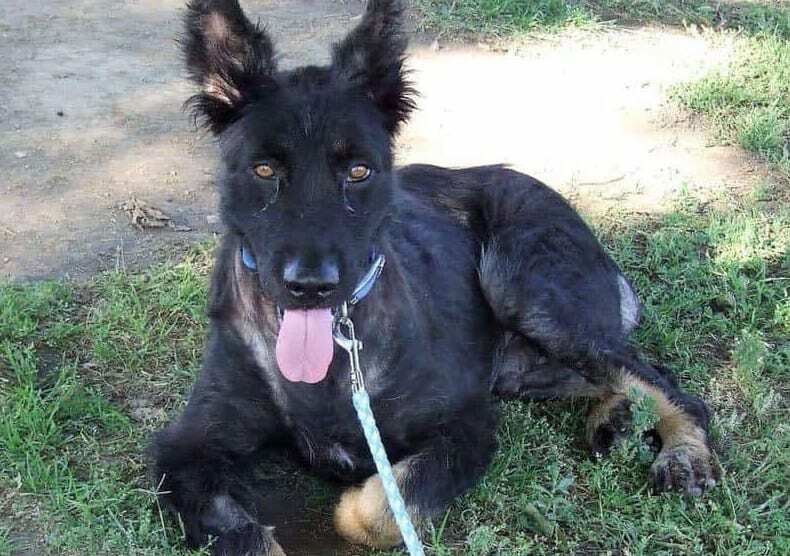 Why had such a young pup been abandoned? 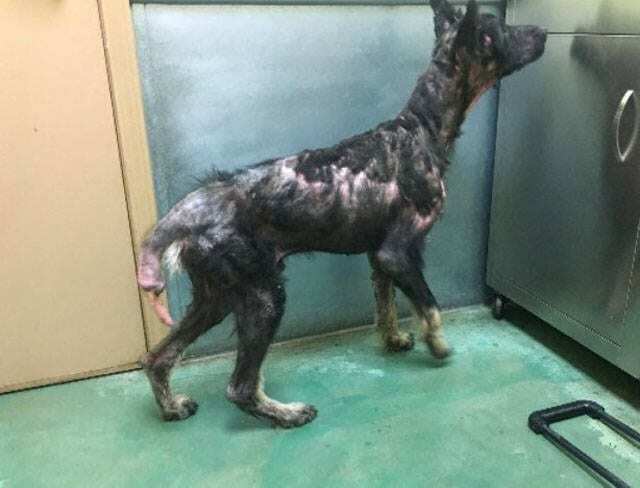 He had been stood at that cold roadside for several months, so the poor dog had been abandoned as a puppy. He certainly didn’t look young now, covered in scabs and missing chunks of hair. It was an emotional time for everyone involved, and they could only hope that he could be saved. As the vet examined the dog, they told Bowe that the broken pelvis and tail were no doubt the result of being hit by a car. 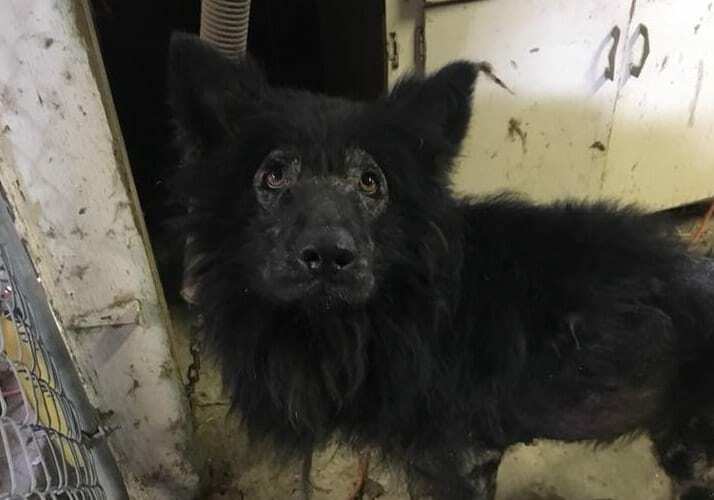 Although, they had no idea if he had been hit while wandering the roads, and the driver had fled the scene, or if it was a part of some more serious abuse he had endured which may have led him to being abandoned. So many questions were raised; all of which would remain unanswered. All they could do now was try and help. 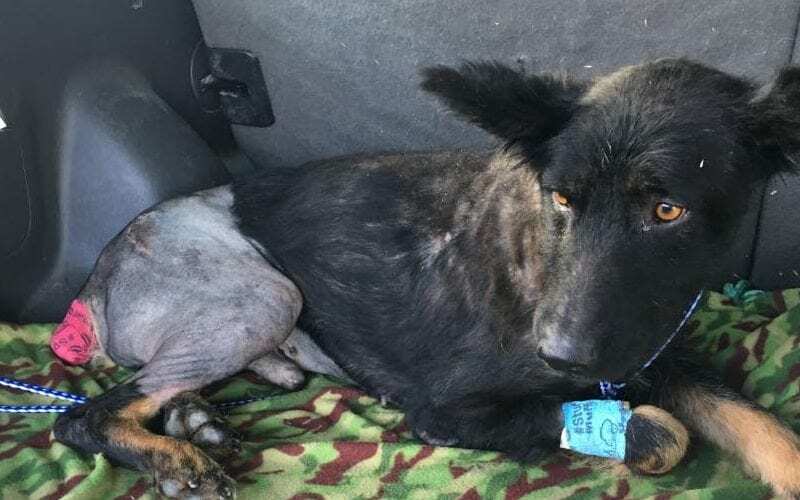 The dog’s tail had begun healing – albeit badly – from its break. 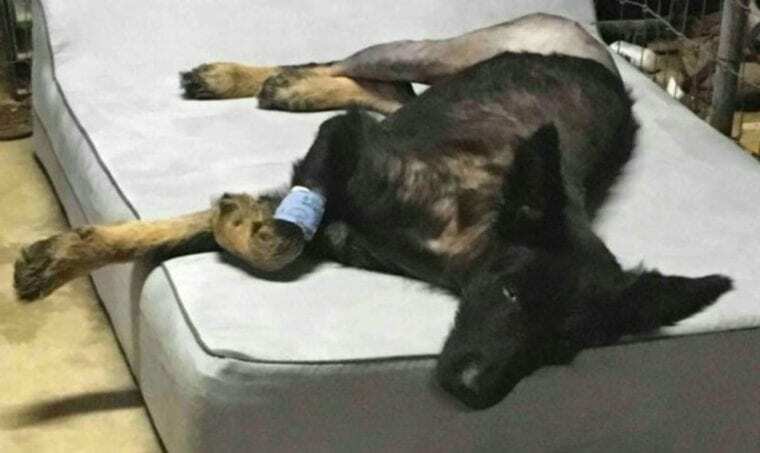 With the knowledge that the injuries were a few months old, based on the tail’s healing, Bowe and the vets realized that he would have been in crippling agony all this time. Which explained why he was always stood by the roadside. 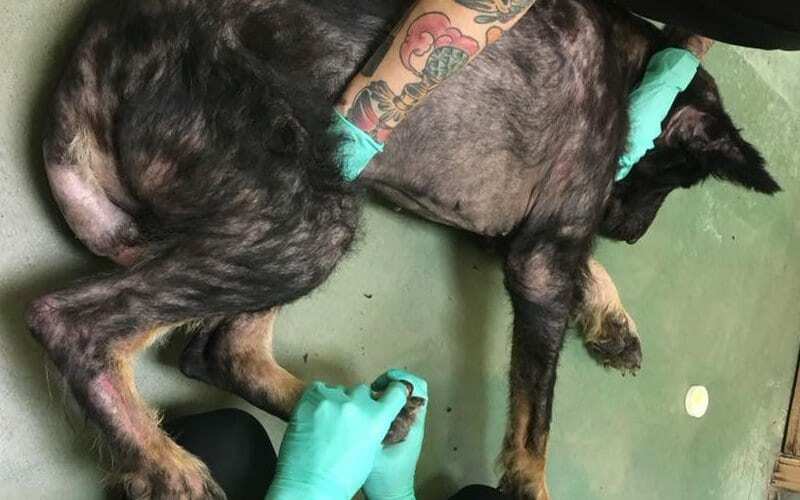 It also meant that he wasn’t able to look for food and water, so he was completely starved and dehydrated. He was lucky to be alive to start with, let alone now being nursed back to health. Once the vets had finished examining him and talking Bowe over the treatment, he was given a brand new chance at life. Bowe took him home. She named the dog King, for all he had been through, and gave him some space in a nice warm bed. He was, of course, sectioned off from her other animals, to minimize the risk of them catching his scabies. She followed the vet’s treatment plan, fed him up, and gave him endless love, hoping he’d make a full recovery. King had been so severely malnourished that he could only eat tiny amounts of food. Everything with King was gradual, so as not to make him more ill.
His meals increased in tiny increments, allowing him to fatten up without putting his body under too much pressure. Bowe knew that King wouldn’t be a quick fix, but she was more than willing to put in the hard work for him. She hoped he’d eventually gain enough strength back to be able to survive surgery to fix his pelvis and tail. Despite all he’d been through, King was a remarkably affectionate dog. Bowe was certain he knew how much she was helping him because he always seemed thankful. He loved cuddling up to her, leaning on her, and staying as close as possible to her at all times. It was almost as though she was his comfort blanket. He seemed to trust in Bowe to do what was right by him, and that trust paid off, as he recovered more and more with each passing day. 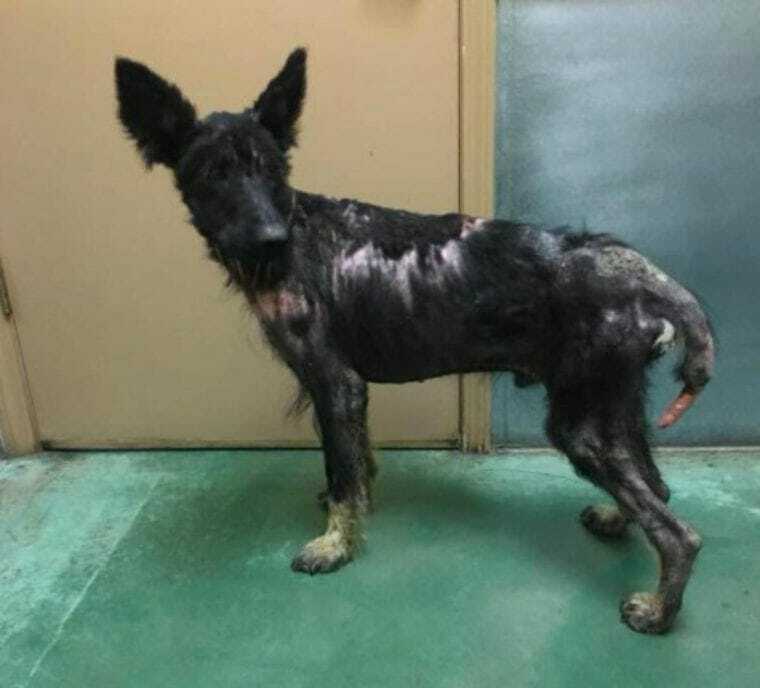 After just a month and a half of rehabilitation and medication, King was like an entirely different dog. The werewolf that was once hunched over by the side of the road was nowhere to be seen. Instead, Bowe was caring for a lively German Shepherd pup who was eating bigger meals and learning what it was like to really be a pup. His scabies had cleared up tremendously, thanks to the medication, and he was finally starting to love life. There was hope for the neglected dog, after all. King had progressed so well that it was finally time for an exciting, yet terrifying, event – the surgery. King returned to the vets for surgery to try and fix his broken bones. Bowe and the vets hoped that it would restore normality to his life, allowing him to walk, run, and play once again, or maybe even for the first time ever. He went in for the operation, and after many hours of fear, Bowe was told that it was successful. He could finally start going for walks. King began recovering from his surgery and Bowe began taking him for short walks. Much like with his food, he needed to build up very slowly, so as not to cause more damage to his young, vulnerable body. King loved being out with someone he trusted and was enjoying his new lease of life. Dependent on how he fully heals from his surgery, he could undergo surgery on his other hip in the future, but for now, he’s doing much better than ever before. Needless to say, he’s loving life. 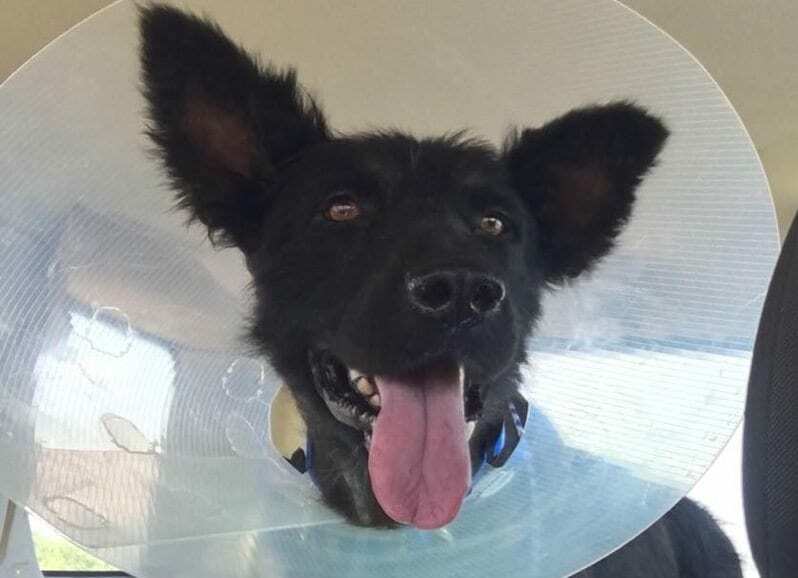 Despite his incredible recovery, King still has a long way to go. He is only now learning to play and have fun after many months of neglect, and who knows what else, prior to him being spotted by the roadside. 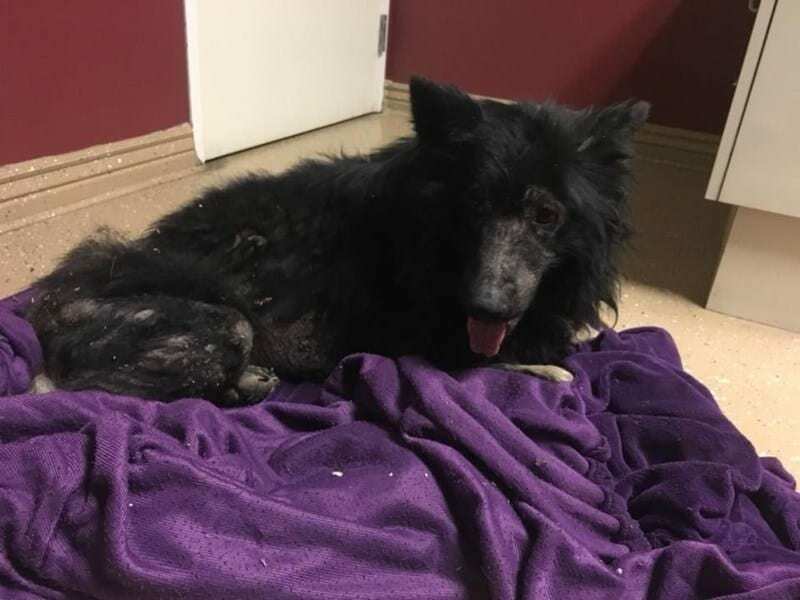 He is recovering from his physical ailments remarkably well, but he still has fears and emotional problems to overcome, as you’d expect from a dog who has experienced so much cruelty. He now looks like a dog compared to how he once looked like a werewolf from a horror movie. 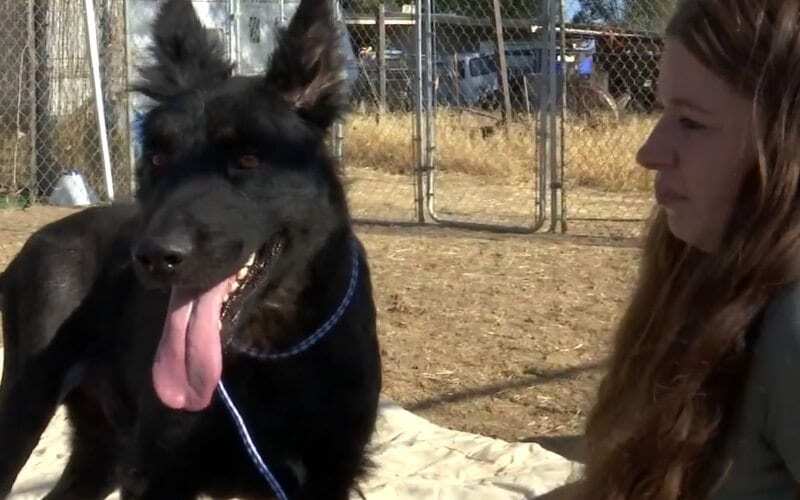 Once King has recovered, like all of Bowe’s animals, he will go off to a forever home. Bowe will miss him dearly but knows he deserves to be adopted out to a family who will love him until the end of his days. Bowe believes that King will need just a few more months of recovering, seeing as he is progressing tremendously well. He will only go to a family who is willing to give him all the love and attention he lacked for so long. Finally, after so many months of uncertainty, King’s future looks bright and promising. He is doing well and enjoying learning what it’s really like to be a young dog. He loves going on adventures with his human mom and will make someone a wonderful pet when he’s ready to leave Bowe’s house. He is much happier and more affectionate than ever. He has come to trust humans again, thanks to Bowe and the vets. He’s almost unrecognizable from that werewolf by the roadside just a couple of months ago.